It’s no secret that human beings are social animals. The success of Twitter, Facebook, and other forms of social media have recently emphasized our human need for interaction. Despite social interaction being so essential to the human experience, it isn’t always easy. In fact, it takes almost every part of the human brain, arguably the most complex thing ever created, to work and play well with others. The first step in social interaction is perceiving important social cues. We listen to what people say and how it is said, observe minute details of facial expression, pay keen attention to how we are touched, and wrinkle our noses in disgust if someone smells bad. Each of these functions relies on a unique region of the brain. For example, the fusiform gyrus, located near the base of the brain, is particularly involved in seeing faces, and the right superior temporal sulcus on the side of the brain helps us notice where someone else is looking. Part of the occipital cortex is dedicated to observing other human bodies. An evolutionary ancient pathway connects the superior colliculus, which helps control basic visual information, and the amygdala, which regulates strong human emotions. Our brains are also tuned into human voices. An entire neural network is devoted to language, which exists on the left side of the brain in over 90 percent of people. A similar network exists on the right side of the brain that deciphers prosody, the additional tones and ways that people add layers of meaning to their spoken words. The sense of touch relays information to the insula, which can evoke an emotional response. The sense of smell is very tightly linked with the limbic system, which manages emotional sensations and regulations. Almost every sense we have has unique wirings to emotion, especially when other people are involved. The next basic step in social interaction is deciding whether a social signal really matters. Specific brain structures generate an initial emotional response to social stimuli. Should someone’s tone really impact us as much as it does? What does someone’s look really mean, and are we overreacting? Deep inside the brain, the amygdala seems to be especially involved in selecting which of the myriad incoming social signals are the most important. One can think of the amygdala as attaching an incoming signal with an emotional value. People with damage to their amygdala have a harder time recognizing fearful faces, and they don’t watch the eyes of others in order to perceive emotions. The insula is also important in assigning the emotional value of different stimuli, such as deciding when something is disgusting. This can be socially crucial, as the insula is what signals the inappropriateness of, say, chronic nose picking in public. Lesions in this area of the brain will lead to a lack of concern about inappropriate situations. In the disease frontotemporal dementia, for example, insular degeneration may underlie such behavior as not caring about personal hygiene. A region known as the anterior cingulate cortex generates reactions in response to different situations. The anterior cingulate cortex is connected to many other parts of the brain and is the place where sensation is transformed into action. For example, if the insula judges that something is disgusting, the anterior cingulate cortex relays the information to parts of the brain that work together to say “yuck.” People with a stroke in this area may have profound apathy, even to the point of akinetic mutism, where someone lacks the motivation to even move or speak at all. The orbitofrontal cortex at the bottom and front of the brain indicates when incoming social signals are rewarding. Studies have shown, for example, that these regions are very active in romantic love. This is particularly true of an area called the nucleus accumbens. Most of the structures we’ve discussed so far are “hardwired,” meaning that they are relatively ancient pathways and structures that can't easily be changed. However, the neocortex ("neo" means "new") is more adaptable. 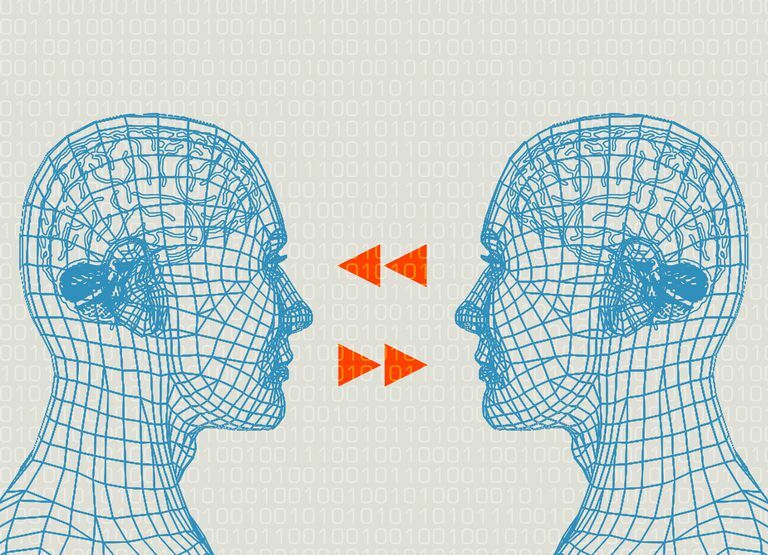 This new part of the brain is where our experiences allow us to change how we interact with other people. Patterns of correct social behavior are held in the medial prefrontal cortex. This region doesn't fully mature until the early twenties, which allows us time to form our unique personality and choose how we respond to different social interactions. The ventrolateral prefrontal cortex may be involved with recognizing the consequences of breaking rules. This area may be less active in sociopathic individuals. Even if all processing of social information is done appropriately, it won’t matter much if we respond in an embarrassing or inappropriate way. It is critical in our day-to-day lives that we carefully restrict our behavior and choose the best way to behave. If this isn’t done correctly, conflict can arise. Marriages can disintegrate, business deals can collapse, and friendships can fail. Humans have uniquely complicated social interactions which are controlled predominantly by the prefrontal cortex. This can control and override more immediate responses, so that even when we are feeling angry or insulted, we may be able to respond gracefully. The medial prefrontal cortex tells us what emotions we’re feeling. People with lesions in this area don't know how they feel. As a result, they also have a hard time regulating or controlling their emotions. The lateral prefrontal cortex seems more involved with the ability to regulate the emotion that is signaled by the medial prefrontal cortex. This also helps us to adapt to new situations. For example, this is the area that allows us to overcome a prejudicial thought, even if we were raised in a biased household. In a way, the brain mirrors our own society. Both we and our neurons exist in networks of communication. One neuron may directly share information with hundreds of others and indirectly communicate with billions within the body. By coordinating our hands and lips, this electric chatter within our own brains becomes the electronic blips of a cell phone signal or the warmer analog signal of face-to-face interaction. The communication between nerve cells becomes communication between human beings. Sollberger, M., Rankin, K. P., & Miller, B. L. (2010). Social cognition. Continuum Lifelong Learning Neurol, 16(4), 69-85.